Lanchester Community Free School can have up to three Reception classes of 20 children. Each class has one teacher and one Learning Support Practitioner. In Lanchester, we use the EYFS Framework for planning and assessment. 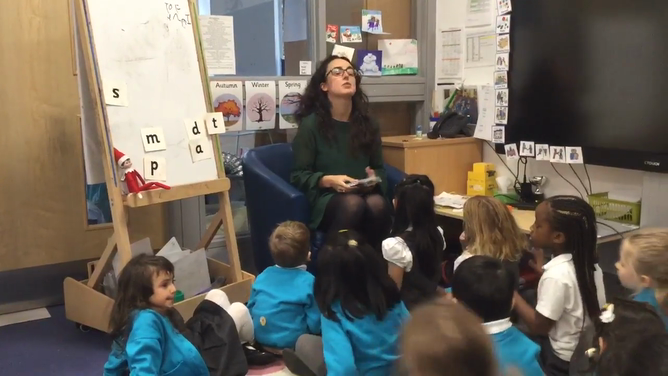 Reception teachers complete an EYFS profile for each child at the end of Reception. This provides an accurate assessment of children and describes each child’s attainment against 17 early learning goals, together with a short narrative about their learning characteristics. We use the terms beginning, developing, secure to define where children are within each level of development. We use scholarpack to track progress and attainment every half term. Including the baseline, we input data seven times across the year to ensure outstanding progress is being made. We have high expectations and aim to get children to an expected level by the end of the year. We have a robust phonics and maths program to ensure children are making outstanding progress. We aim to stretch and challenge all children, including those who have a higher starting point, to ensure that all achieve their highest potential. In the session, there are three focused activities. These sessions will always include a fine motor skills activity. The other sessions vary from phonics games, handwriting, letter formation, free reading and using the iPad. We aim to teach 5 new sounds a week, using the Read Write Inc programme to teach the sound and the handwriting. These lessons will involve identifying, reading and writing the sounds (in words and in complex sentences). Support and challenge is given during input and during the afternoons in interventions. English inspired CIL takes place every day in and outside of the classroom. Supported activities linked to a themed story inspires and gives children opportunities to learn through play within an enriched environment. In Maths we focus on one theme for the week e.g. 3D Shape. The class is once again divided into three differentiated groups and work in a focus activity (teacher led), adult directed learning (LSP) or independent learning. Problem solving is embedded throughout the week to ensure children are meeting their full potential. Interventions and challenge activities are weaved throughout the math’s sessions matched to their individual needs. We offer children a broad and balanced curriculum with opportunities for children to choose from a range of activities and learn independently. Each class will engage in one session a week of: PE, Understanding of the World PSE, Spanish and music. Each child will have a Literacy Folder and Maths Folder which stays in school and a Home School Book which they take home . Each child also has a Learning Journal showing a narrative of their learning through child initiated play, photos, next steps and comments linked to the characteristics of learning. To create the Learning Journal we used an app called Tapetry. In the app, we can upload all the observations for each child and we can also asses the children following the EYFS curriculum. 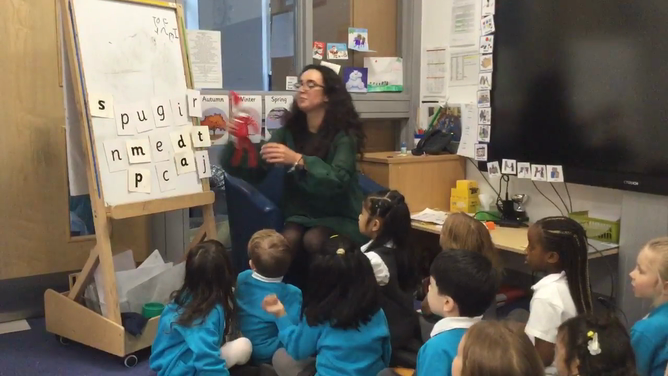 In these videos you can have a look at how we teach phase 2 and 3 of Phonics sounds in Reception and also how we teach the children to blend the sounds together to build a cvc word.